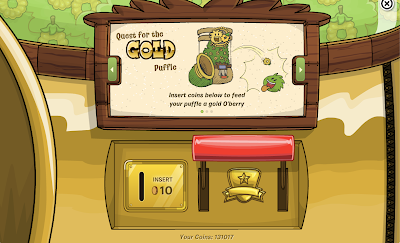 Club Penguin Cheats by Mimo777 Club Penguin Cheats by Mimo777: Get your Gold Puffle TODAY! 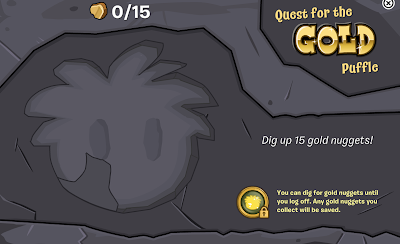 The gold hunt is on! Head to the Pet Shop to begin! 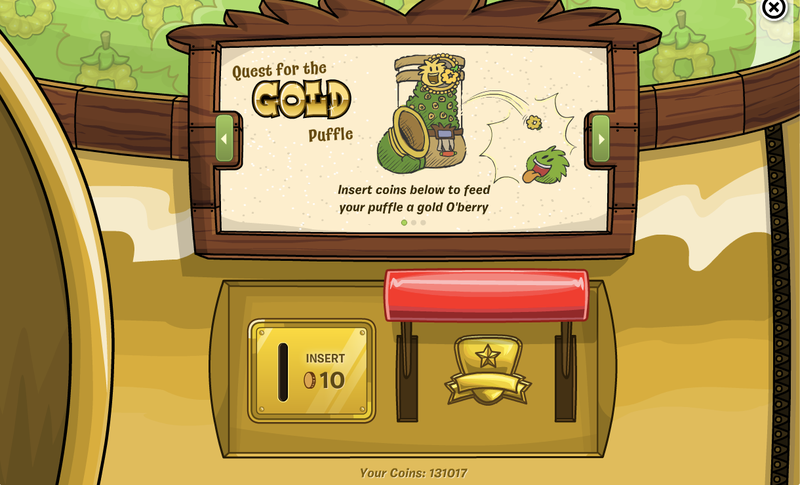 That'll put a golden O'berry above you puffles head so now you can start your hunt! You have to dig up 15 gold nuggets to get your Golden Puffle! Enjoy your new puffle! I'd love to know what you named yours! I named mine Chloe! I am trying to get another one which I will call Bobby! This is not so good!The CP team is going on making all the favourite legends come true! !If they don't get any ideas in their silly heads,will they make all legends come online?At this rate there won't be any legends left!They can make one or two come true.......but two brand new puffles in such a short time of 6 months?? 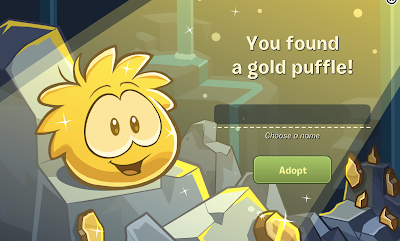 This is awesome, I am a non-member and I can't own one to get me items and to ditch him later, CP is so awesome for not letting non-members at least have 3 non-member puffles now that the Gold one is released, it just keeps getting better and better. I named mine "members only".